Gujranwala, home to people with exquisite culinary tastes, can now be called the city of people with exceptional residential preferences. Although the transition from an exciting yet underdeveloped city to a city with many aspiring real estate projects has been slow over the years, the city has finally hit the mark. As real estate projects such as DHA Gujranwala, University Town, and others emerge, Gujranwala is now all set to welcome Royal Palm City! A housing project boasting a superb location, Royal Palm City is on its way to a bright future. We delved into the basic offerings of the project to give you a reflection of what the project is all about! According to King’s Real Estate Chief Executive Officer Hassan Basra, the location of the project is highly commendable and is one of the main factors distinguishing the project from other high-calibre projects in the city. Royal Palm City is located on main G T Road opposite Citi Housing Gujranwala. This means a less congested, more tranquil and organised environment for residents and easy access to the metropolitan city of Lahore. As many residents of Gujranwala prefer to shop in Lahore or have to make frequent business trips to the metropolis, this is definitely a worth considering benefit. When I mention the best features, I do not necessarily mean added attractions such as cinemas and cricket grounds etc. In fact, what I like the most about this project are the benefits and options that it offers to investors. While we certainly do have plenty of expensive real estate projects in the country, Royal Palm City is targeting the mid-income strata and aims at providing luxury and comfort at an affordable price. Unlike some new housing project in the city, Royal Palm City offers a convenient instalment plan for 5- and 10-marla and 1- and 2-kanal residential plots. The instalment plan is spread over a period of 3.5 years to make the purchasing process even simpler. It also looks like the society is on a roll as development work has already commenced, although it is still in its initial stages. However, start of development work by the developer at such an early stage is commendable. Let’s hope that it does not come to a halt at later stages. Another interesting point that grasped my attention is that property buyers will be given a 5% discount if after balloting they are allotted a plot at a less desirable location, quelling their disappointment to some extent. The project is GDA approved and is next in line after University Town and the Canal View Housing Scheme. Everything sounds reliable so far and time will tell where this project is headed. 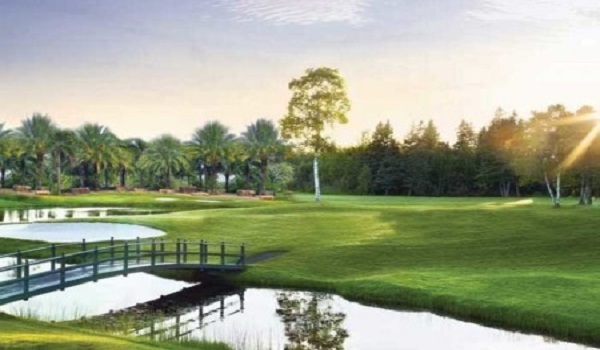 We promise to keep you informed regarding all important developments in Royal Palm City. If you have any queries in mind, please feel free to converse with me in the comments section below. Lahore Property | Karachi Property | Islamabad Property Copyright 2007 - 2019 Zameen.com. All rights are reserved.